When Kawasaki redesigned its smallest Ninja for 2018, the engineers went back to the drawing board and while the motorcycle on your screen may look like a revision in styling, the Ninja 400 has, quite literally, undergone changes from the ground up. I was fortunate enough to ride the 2018 Kawasaki Ninja 400 recently in Northern California. We spent a day winding our way through the emerald green, rolling hills of Sonoma County on (mostly) pristine backroads as we made our way through sleepy coastal towns en route to our ultimate destination: the race track. Day two was spent turning laps at the, equally as scenic, Sonoma Raceway. There was so much to take in with all of the changes to the 2018 Ninja that we decided to reduce it down, in this article, to the top 10 features of the 2018 Kawasaki Ninja 400. I really can’t stress enough how is easy to ride the Ninja 400 is. The slightest of input will have the motorcycle turning effortlessly wherever you point it. On our scales, the 2018 Ninja 400 weighs in 15 lbs less than its predecessor at 366 pounds soakin’ wet. 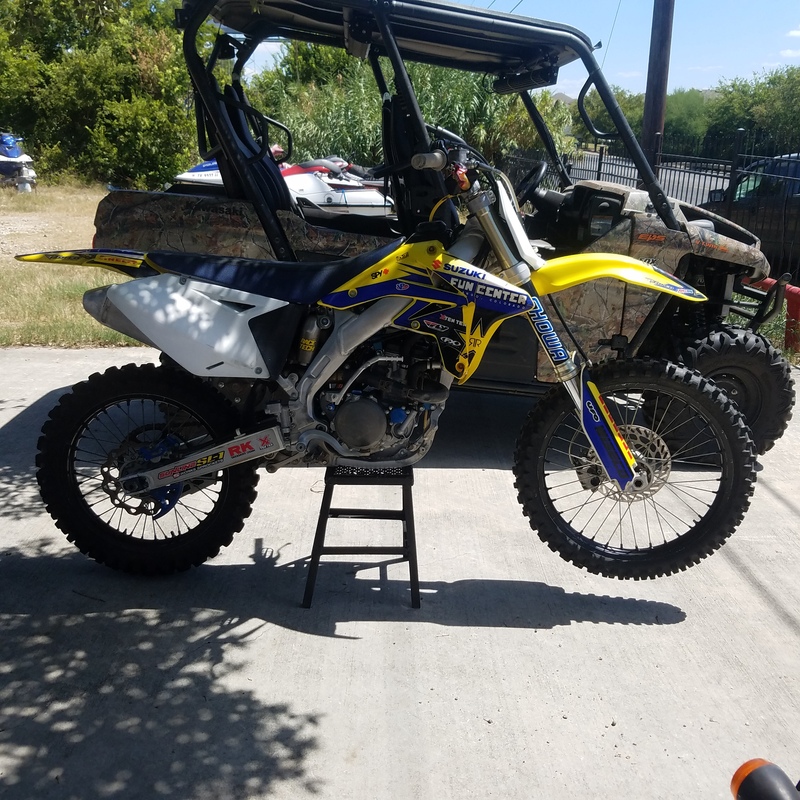 Couple this with a more rigid chassis set up and you have a lightweight, stable motorcycle that is an absolute blast to ride. The larger 41mm Showa fork and the KYB shock do a good job of keeping this nimble motorcycle planted. Of course, if you are looking to build a race bike, you will likely want to stiffen things up in the suspension department. Kawasaki has created an all-new chassis for the Ninja 400 utilizing the same trellis-type frame and concept that is used on its much bigger brother, the Ninja H2. This new frame is said to provide increased rigidity and uses the rigid-mounted engine as a stressed member. Also new, is the aluminum swingarm mounting plate which bolts to the backside of the engine, also similar to the H2, and eliminates the need for cross members for stabilization. The pivot shaft goes through the mounting plate and bolts directly to the engine, again, for added stability. Other noteworthy changes in the chassis come from the dimensions section of the spec sheet. The wheelbase has been shortened from 55.3-inches to 53.9-inches and the steering head has been reduced by 2.3-degrees. The 1.4-inches lost in wheelbase and the new 24.7-degree rake angle both contribute to the motorcycle’s quick steering characteristics. Probably the most prominent detail of the new Ninja is the 103cc increase in engine size. It has been a bit polarizing. Some wonder when the displacement wars in the lightweight sportbike category will stop, some still say it’s too little, and another few think it’s too much. Although, regardless of your side of the fence on the subject, it’s good to see the new powerplant hasn’t gained hardly any overall size compared to last year’s model. After riding the Ninja 400 through an average day of twisting backroads, a faster pace at the racetrack and now around town running errands, as said in my review, this is the sweet spot in engine size. The 399cc parallel-twin puts out easy to manage, usable power through the mid-range and it just gets to be more fun once the revs increase. A look at our exclusive dyno run of the Ninja 400 shows the steady increase in horsepower from 2500 rpm all the way to 10,000 rpm. 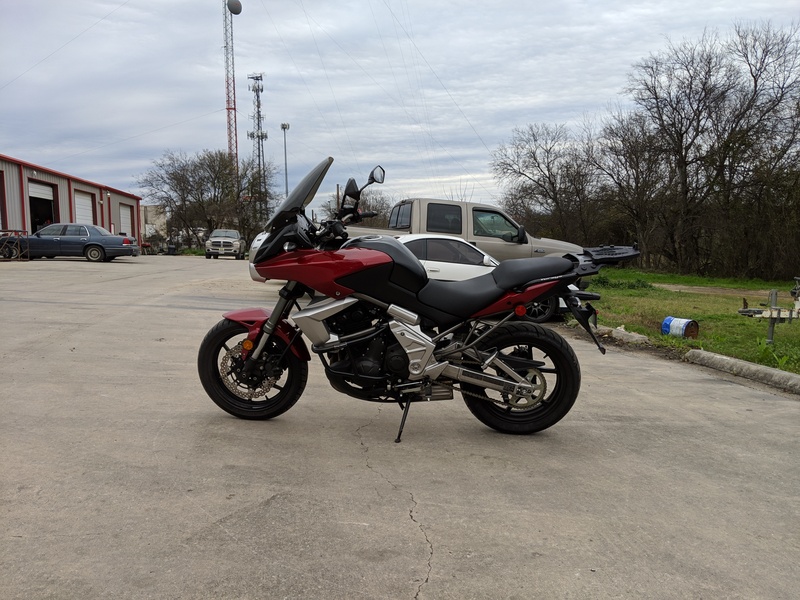 With the way the engine is tuned, this motorcycle can be a great way to get into motorcycling without being worried about getting tired of it and wanting to sell it after a year or so. I won’t mention names, but more than one of the journalists on our ride were considering ways to get one of the little green meanies in the garage after our test. The boost in cubic centimeters brings more power, but Kawasaki has done well with the tuning of that power, as seen in the chart above. The linear increase in horsepower from 2,500 rpm to 10,000 rpm yields a smooth 44 hp. Having 20 lb-ft of torque available just under 5,000 rpm also lends to the bikes usable mid-range while we see torque peak at 25 lb-ft at 8,200 rpm. Check out the side by side spec chart in our dyno run article to see how that stacks up to the current field of competitors. The performance characteristics of the motor, lightweight handling, extremely light clutch pull, and relatively relaxed ergos of the Ninja 400 come together to create an optimal package for a new motorcyclist to get into sport riding without being overwhelming. The new bump in displacement also will keep riders satisfied as their skills progress. Top that all of with the same MSRP of last year’s model, you’ve got yourself a heck of a deal. 7. A potent track weapon? You betcha! 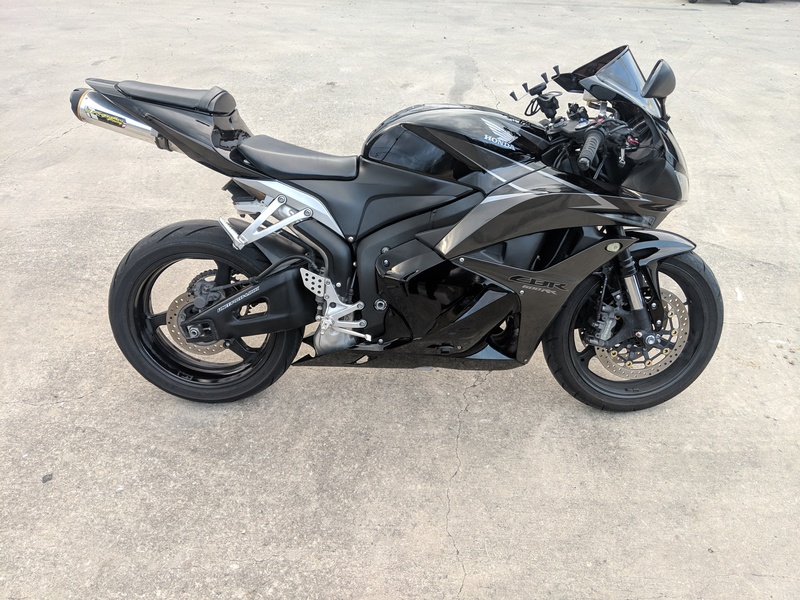 The Ninja 400 hits its 25 lb-ft of torque at 8,000 rpm and 44hp at 10,000 rpm, which means the engine gives its full potential higher in the rev range. This was evident during our spirited ride through the backroads of NorCal however, we were able to fully exploit these motorcycles at the track. Putting down the kind of spec sheet that Kawasaki has with this motorcycle, it was certainly out for blood with the Ninja 400’s redesign. Kawasaki also mentioned during the technical presentation that the Ninja 400 is eligible for more than $531,000 in racing contingency in 20 different classes across 10 sanctioning bodies. This further shows, Kawi is serious about the racing potential of this lightweight class. The Slip and Assist clutch make for easy gear changes without the risk of hopping the rear tire. While accelerating the assist function pulls the clutch hub and operating plate together to compress the clutch plates. This is likely the main contributor behind Kawasaki’s claim of a 20% lighter clutch pull. The slipper clutch comes into play when excessive engine braking occurs due to quick or accidental downshifts, forcing the clutch hub and operating plate apart relieving pressure on the clutch plates which reduces back-torque to prevent the rear tire from skidding. Kawi modified the ergonomics of the Ninja 400 as well. Handlebars are now 15mm closer to the rider while the footpegs have been moved back 9mm. The seat height hasn’t changed at 30.9-inches however, Kawasaki claims a 30mm narrower seat with padding that is twice as thick as the previous model. The seat does have a tendency to keep you close to the tank with the scooped angle it sits at. At 5-foot 8-inches with a 30-inch inseam I had absolutely no issues feeling confident and planted with my feet down. The 2018 Kawasaki Ninja 400 is a great looking motorcycle with styling reminiscent of larger bikes with larger price points. Styling cues have been borrowed, such as the “chin spoilers” and triple-peak motif tail section, from the Ninja H2. The sharp bodywork is undeniably Ninja and with the KRT graphics option you won’t soon forget Kawasaki’s racing heritage. The Ninja 400 also uses LED lighting throughout to give a more premium aesthetic. The user interface also offers a quality experience with wires and cables routed neatly out of the way and a good-looking dash offers plenty of information to the rider. As mentioned in my first ride review though, the dash is difficult to read in direct sunlight. Top 10 Features of the 2018 Kawasaki Ninja 400 appeared first on Motorcycle.com.